The use of English slogans is becoming increasingly popular among local governments, but native-English speakers find themselves scratching their heads at the use of their language. A recent analysis showed that of 246 local governments, 44 percent were using English slogans in their branding logos. Michael Breen, a former foreign correspondent and the chairman of Insight Communications, commented that making slogans for places may sound easy, but it is very difficult to get it right. He said the Dongjak district of Seoul tags itself "Lucky Dongjak," but his first thought on reading that was, "Where's the casino?" "If Dongjak's main industry were gambling, that would work well. But as it isn't, I can't quite see what it's for," Breen said. "Similarly, what can we make of Namwon, City of Love?" He pointed out that the main mistake local governments make is to copy others. He said the effect of Dynamic Busan copied from Dynamic Korea and Yes Gumi copied from Yes Tokyo is to say, "We are not original." "In the category of domestic consumption, the use and misuse of English is of little consideration to the local marketers who come up with these catch phrases." "There can be linguistic or pedagogic connections between certain English words and corresponding Korean words, cultural points, etc. that are totally lost on most native English speakers," he noted. The management consultant said often prestigious and expensive international specialists are employed, but the specialists are overruled by the bureaucratic desire to "localize" the international expertise. "This may be done out of a desire by local bureaucrats to privately boast that they came up with the final slogan," he said. 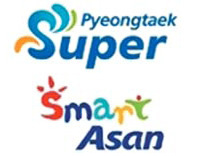 Coyner claimed, if not out and out weird, the choice of English words associated with a place's slogan often seem rather arbitrary, such as Colorful Daegu, Ulsan for You, Happy Suwon, and Nice Jecheon. He said, sometimes, punctuation is hoped to make the difference ― particularly when employing an exclamation mark as in "New Start! Yesan." "When wrong, at best they can be humorous, and at worst, they may convey a sense that the country is made up of yokels." 영어 슬로건을 쓰는 것이 지방자치단체들에게 인기를 얻고 있지만 원어민들은 이런 구문을 보면 가끔 머리를 긁으며 갸우뚱 한다. 전직 언론인이자 현재 인사이트 커뮤니케이션즈 컨설턴츠 회장인 마이클 브린씨는 제대로 된 슬로건은 만드는 것이 결코 생각만큼 쉽지 않다고 한다. 그는 ‘럭키 동작’ 이라는 로고를 처음 보았을 때 가장 먼저 ‘카지노가 어디에 있을까’라는 생각이 떠올랐다고 한다. “(서울) 동작구와 카지노와 별다른 관련도 없는데 그런 구호를 사용하는지 의아스럽습니다,” 브린씨가 말했다. 소프트 랜딩 코리아 대표 톰 코이너씨는 슬로건을 크게 내국인, 해외 외국인, 그리고 관광객 대상으로 크게 나누어 지는데 ‘슈퍼 평택’, ‘하이터지 공주’ 등은 비교적 영어를 잘 모르는 사람들에게 싶게 기억을 남기고자 하는 내국인용 슬로건으로 볼 수 있다고 한다.